spanish – Damn, I Can Make That! So apparently the Italians aren’t the only ones that do cheese sticks. One night when I was in Madrid last month, the kitchen was closed at this local bar and the owner said he would whip us up yummy Venezuelan tapas. (Tapas literally just mean small plates). So much to our surprise these tapas were pretty much the Latin version of a cheese stick that they served with this slap your mama good aioli. I swear we crushed them in under 5 minutes so ofcourse I had to come home and try & replicate them immediately. 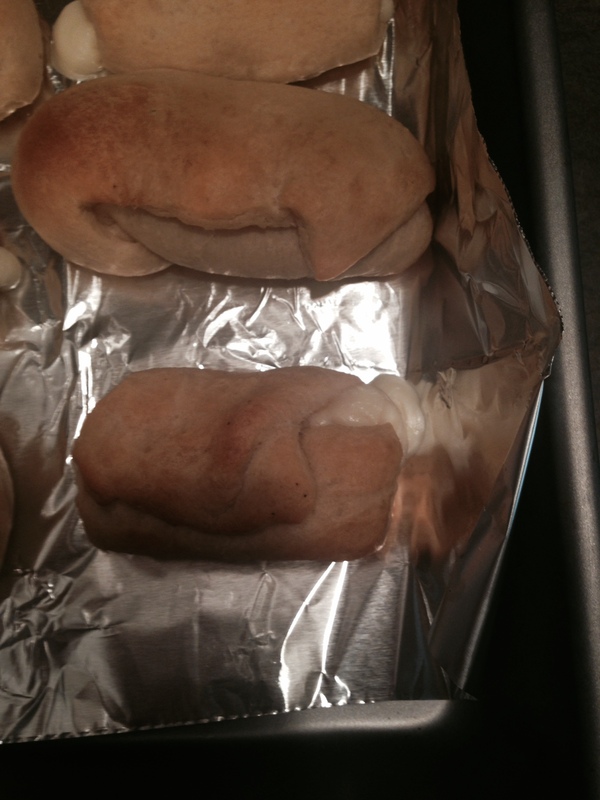 Literally use the same method from the pizza roll ups, but just with the cheese and dough. Also make sure that the cheese is sealed in by the dough and nothing can ooze out when baking. 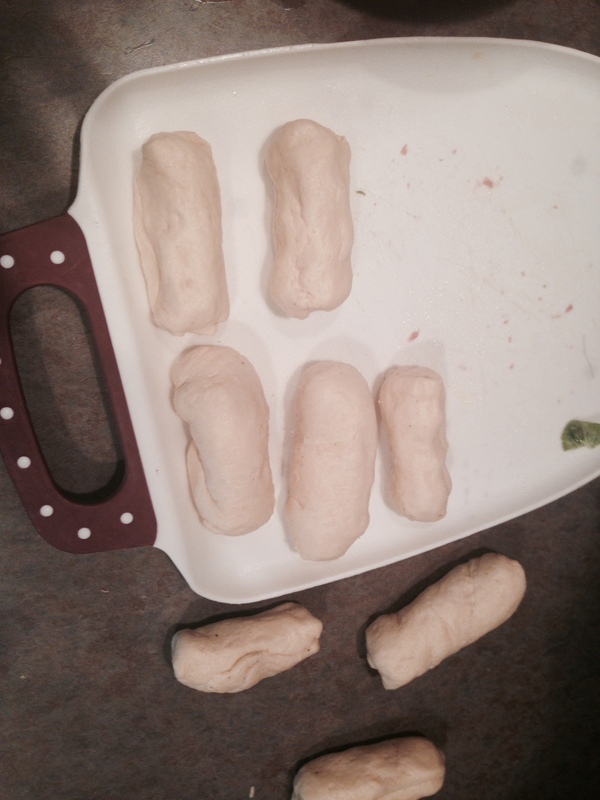 The pizza roll ups were more free to form whereas in this recipe you want the cheese locked inside the dough. Bake at 350 degrees for 5-10 min. (until golden not brown). Let them cool for 3-5 min before serving. Blend in food processor & serve chilled. Happy Cinco de Mayo! Holidays are centered around food and drink. So let me share a Spanish inspired recipe with you that I threw together this weekend with a bunch of leftovers. Feel free to chow down with a fresh and strong margarita! Ole! 1/2 cup (or 4 tbsp.) of shredded cheese (Anything works I did a Mexican blend, but plain cheddar is good too). **Add frozen corn or canned beans (About 1/2 a cup should do the trick) to stretch the ground meat further in case you don’t have that much leftover. Although if making fresh do a 1lb. package of ground turkey. (chicken or beef would work just as well). Brown the meat with a little vegetable oil, taco seasoning, the onions, & the garlic in a nonstick pan over medium heat. My secret tip is that when the meat is done, stir in the ketchup and sriracha. It adds a good tomato-ey flavor and keeps the meat moist. Plus the sriracha adds a yummy spice/kick. Once the meat is cooked, crumbled and cooled, mix it with the corn (or beans) & rice. Note that while the meat is cooking, prepare the peppers by slicing off the tops and cutting out the ribs & seeds. Rinse and dry before stuffing. 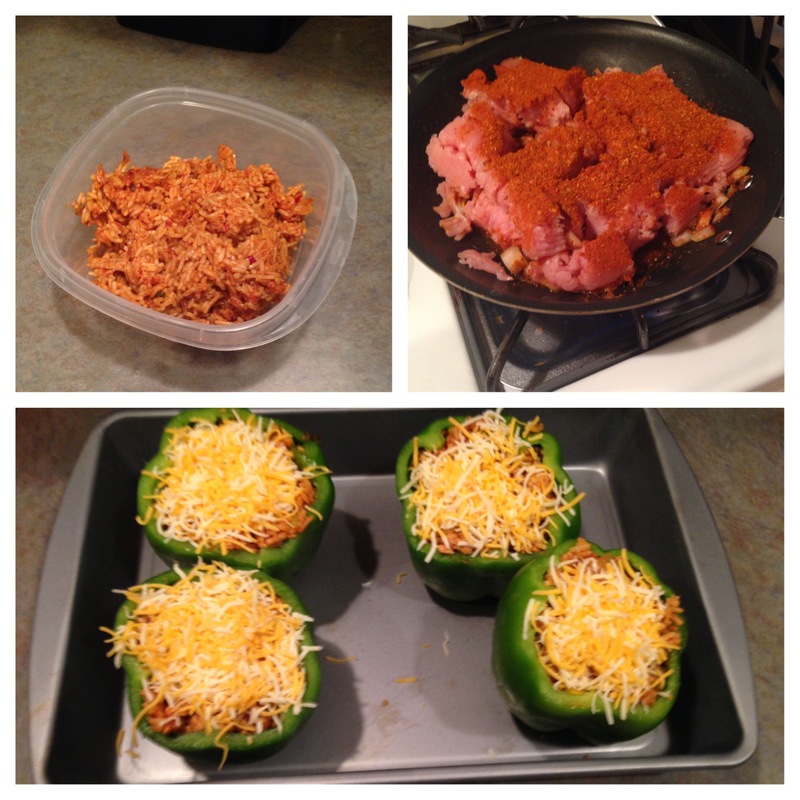 Lastly, stuff the pepper and top with the shredded cheese. Bake at 350 degrees for 20 min or until the cheese has melted & pepper has charred. Serves 4 people, 1 pepper per person. So this is more than just your average dipping sauce. Yes, I suggest that you accompany it with the empanadas, but how yum would these be with the crab cakes too? Anyway, you be the judge of how you want to use this lil nugget of culinary creativity and comment below! Oh and word is, you can sprinkle with a bit of chopped cilantro to look really authentic and fancy. What’s the saying : fake it till you make it?! haha enjoy. 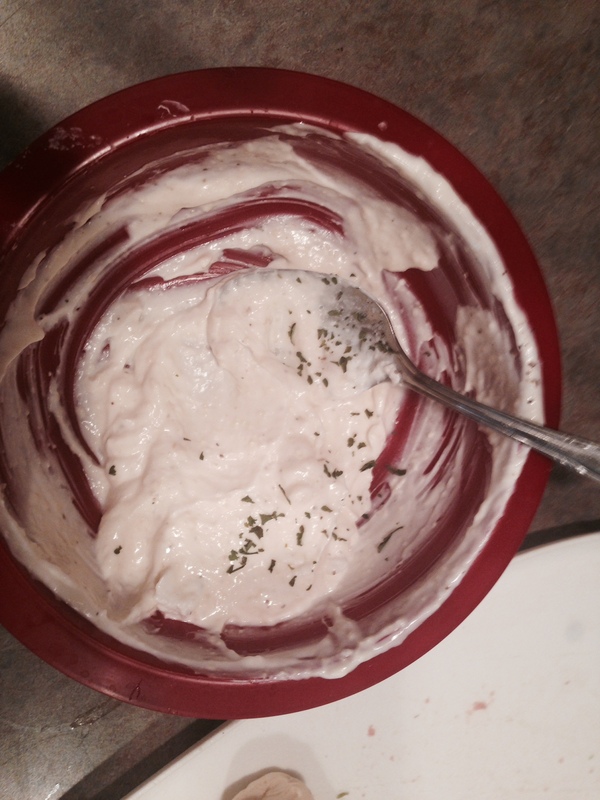 1/2 cup reduced-fat Greek yogurt (less fat than sour cream and full of the flavor, genius I know!). 1 jalapeno (finely chopped, remove seeds to lower the heat level). Juice of 1 lime (try fresh, I abhor the bottled stuff. oh and don’t even think lemon will do what the lime does). Slice the avocado in half and remove the pit. Scoop the flesh into a blender or food processor and add the yogurt, the jalapeno, lime juice and a big pinch of salt and pepper. (If you don’t have a jalapeno or the store is out of it just do a quick squirt of sriracha or your favorite hot sauce to replace the heat you would’ve gotten with the jalapeno). Blend until smooth. One good thing to note is this sauce stays well because the lime keeps the avocado color from turning. Although I doubt you will have leftovers because I may or may not have cut my tongue licking the inside of the blender that’s how freaking good this sauce is! Ok so I am in a Latin state of mind. Not to brag, but I am going to Panama in February. So I am totes all about exotic food right now in anticipation of my travels. I mean don’t be jealous, you can get a taste of those countries at home with this muy rica comida! (translates to “very tasty food”, you silly goose). Anyway, I digress. Host a tapas night, or serve as a game time snack, or even pack some for lunch one day with a side salad. This is one delish dish that is worth the extra time. 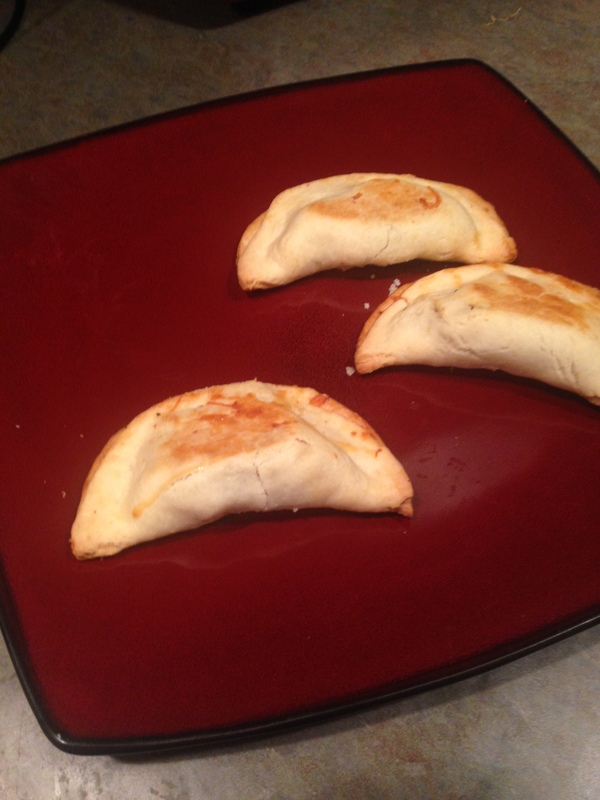 Oh and for those of you that don’t know what an empanada is: its a meat-filled pie. Portable, popular street food and just plain old yummy! ½ cup white wine (feel free to leave out if you don’t have any on hand). **(Another option is to brown some ground turkey or ground beef with some taco seasoning and use that in place of the chicken. Get creative folks! Use what you have lying around…don’t be running to the store more than once a week if you don’t have to). Anyway, back to the cooking part: heat the butter/flour (roux) & add the onions saute over medium heat until translucent, around 4 minutes. Add the white wine and allow to evaporate until ½ of the liquid is left and to deglaze the pan. Add the chicken & the milk, a little at a time until well incorporated and the sauce is thick. Mix constantly, lastly you can add in the salt and pepper to taste (I also added garlic powder). Heat oven to 350 degrees. 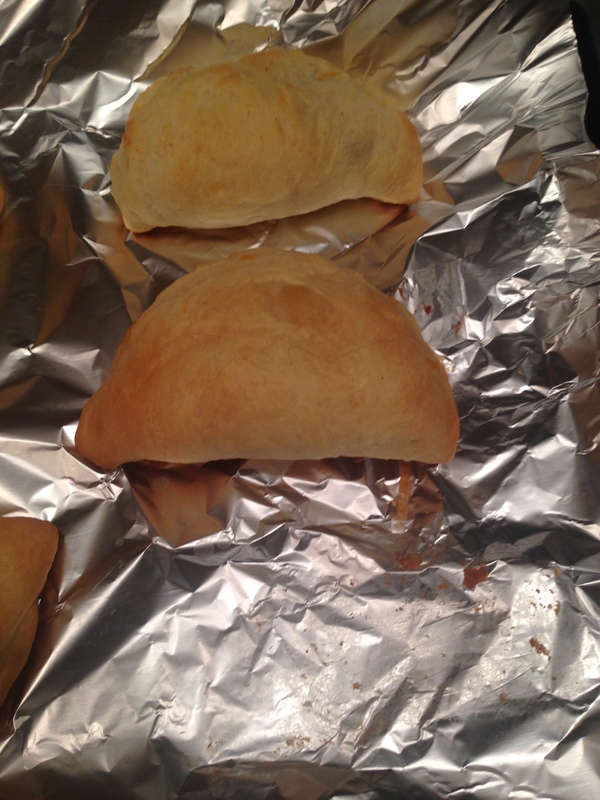 Remove pie crusts from pouches; place flat on work surface. With 3 1/4-inch round cutter, cut 8 rounds from each pie crust. I don’t have a cutter so I used a martini glass, because I am hood like that. Spoon filling evenly onto half of each dough round. Sprinkle shredded cheese over the filling. A pinch of cheese people, don’t over stuff the empanada. Brush edge of crust rounds with beaten egg. Fold crust rounds in half; press edges with fork to seal. Place on foiled cookie sheet. Brush tops with egg. Bake 14-17 minutes or until golden brown. Let cool & serve immediately. While the empanadas bake, you can whip up this easy, beyond delish dipping sauce. Any person can serve it with store bought salsa, a real foodie, makes even the accompaniments fresh! 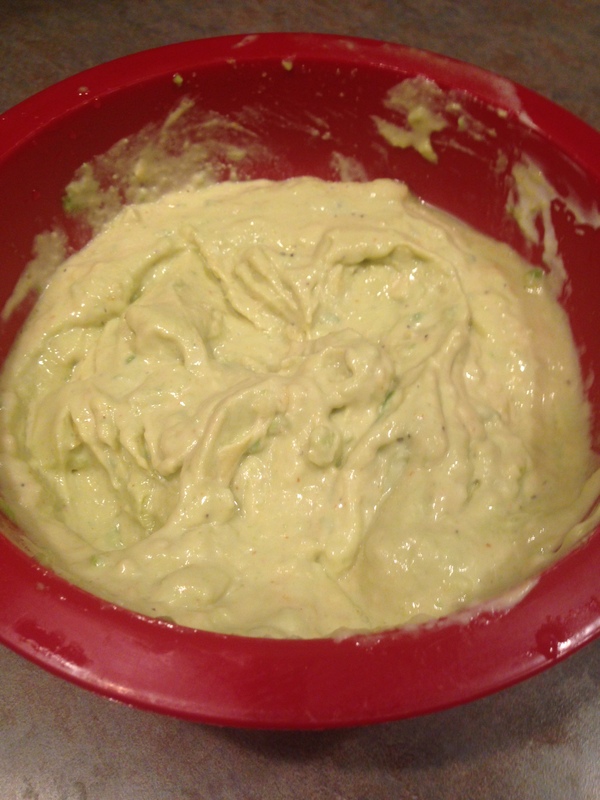 Check out the avocado cream recipe under Sauce Boss.